Incredible value! New carpet just installed, new paint! 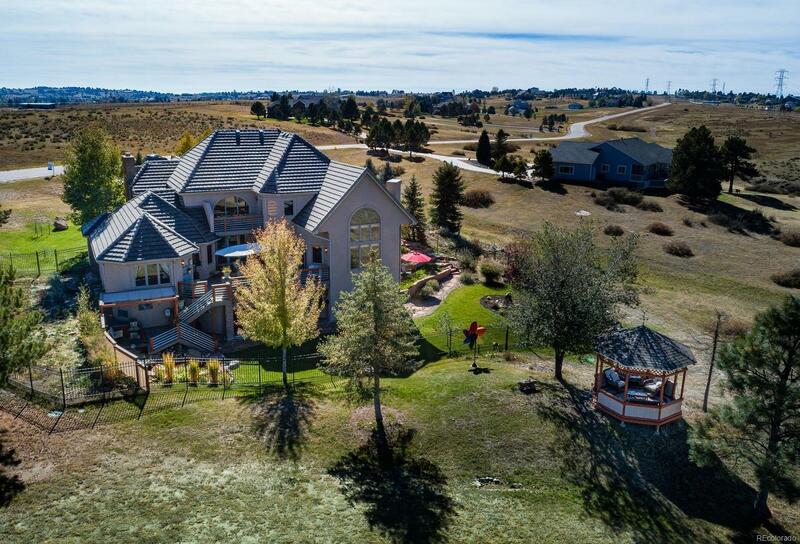 This custom and spacious property is located in a coveted pocket of fine homes, situated on 3 acres, yet allowing for easy access to E-470, DIA, Parker and a host of amenities; all while staying private with a country feel. Featuring a main floor master suite, you'll find elegant touches throughout; including 19' vaulted ceilings, an open floor-plan, marble-topped kitchen and a great room with larger than life windows to take in the countryside and mountain views! Across the property you'll find three major water features, generous fencing and a new place to relax and unwind outside at every turn; take in views from the Gazebo, or host a dinner party on the spacious deck - this home is sure to delight! The basement is an entertainer's dream, with large areas for a game night, movie night or relaxation by the fireplace and hot tub in the heated and covered four-season space!